Our robust, clean API lets you focus on building great products. 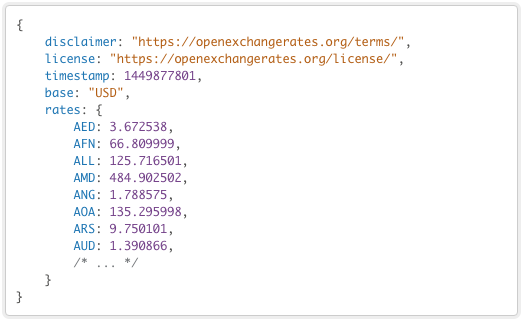 Our data are served in transparent JSON format, with simple documentation and quick tech support. Our community has created over 200 open source libraries and plugins for most languages and frameworks. From a single request per month to a thousand per second, we've got you covered. 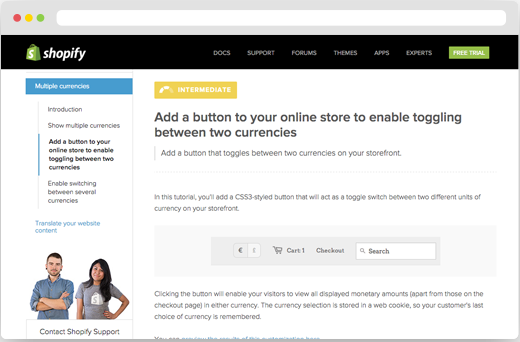 Live and historical exchange rates for over 200 world currencies, plus time-series and conversion APIs. Trusted by over fifty thousand businesses and organisations. Our clients range from charities and universities to major sports networks, international brands and Fortune 500s, serving tens of millions of people every day.